“The truth is, everyone is going to hurt you. You just got to find the ones worth suffering for.” – This might be one of my favorite quotes of all time. I love Bob Marley’s music – it is both happy and rebellious, a mixture of positive thoughts as well as social injustices… We are all human and we all have shortcomings. When we allow someone to get close to us, it is inevitable that one will hurt, disappoint, or betray the other. You see this with couples, friends, and family. I have hurt others and been hurt myself. I can say however that when you find someone that you benefit greatly from, that you care deeply about, you can find a way to deal with that suffering and forgive. Sometimes this give and take makes a bond even better in the end. When is a work of art considered finished? Can something old be picked back up and considered new? 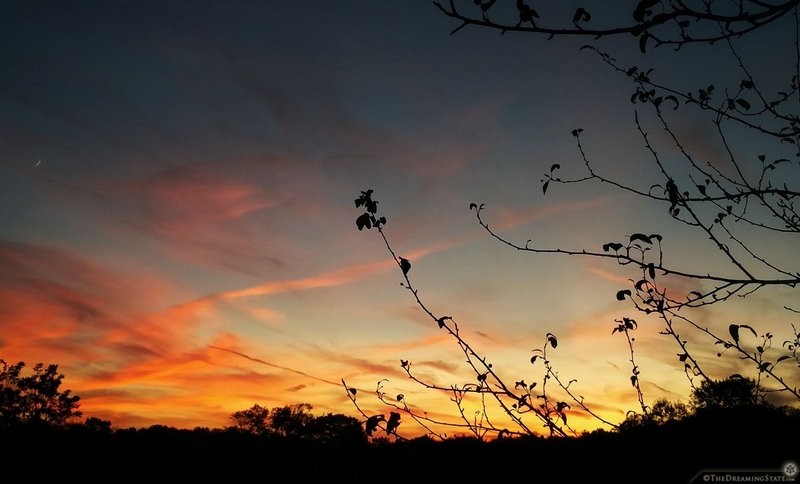 I seem to go through phases of creative or productive ebb and flow. In times of making, much of these things get stashed away in digital folders not to be seen for weeks or even years. 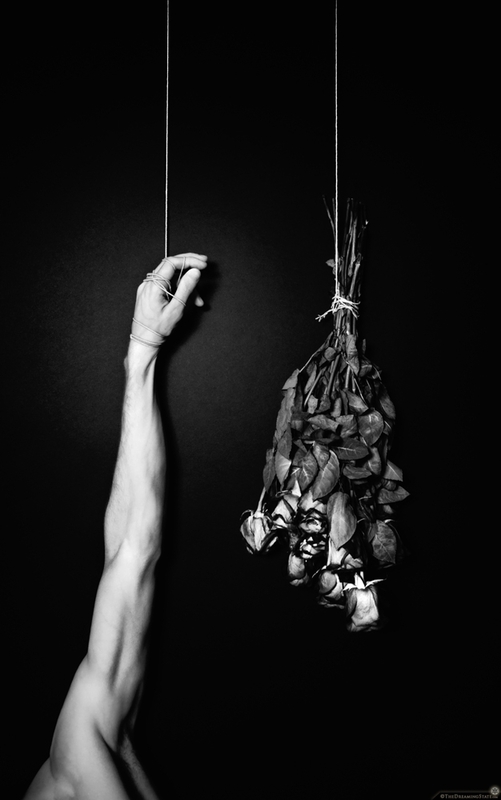 Over two years ago I set up a backdrop, lights, tripod and then grabbed some string and flowers. I wasn’t sure what I was doing, but I recall trying to express how I felt in the form of poetic imagery. I then tossed the image aside… Today I rediscovered this beauty and realized how well it fits into my current body of work. I spent some time editing the photograph until I felt it was a perfect fit. What was an old creation that went nowhere was now picked back up and given a place in my portfolio… I also chose to title it “Melancholia” – which parallels the meaning of the piece. An artist sometimes doesn’t know where the line is between regular life and actual art. Like a photographer, we see something, find importance in it, and that is what makes it art… My mother had given me a little tomato plant. Plants are really interesting to me. You just water them, keep them propped up, give them enough sunlight – and they grow flowers and food so quickly… I took care of this plant for weeks and weeks until finally it had grown a bunch of little tomatoes. 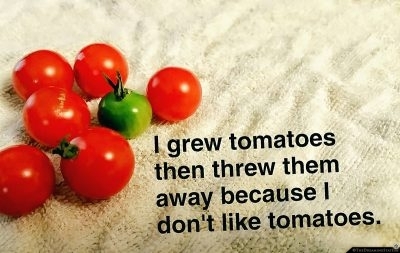 I really hate tomatoes however, so I thew them away. This moment reminded me of a line from John Baldessari’s Pencil Story, “I think this has something to do with art”. 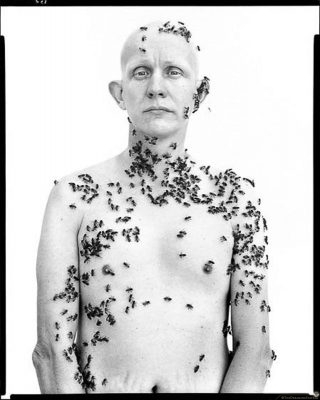 Avedon was an American fashion and portrait photographer with a huge collection of work. Many images we may have seen but didn’t know he took them. The famous Simon and Garfunkel album cover, a young Bob Dylan, Marilyn Monroe, Andy Warhol, The Beatles, Janis Joplin, Buster Keaton and many more… The New York Times spoke of him saying “his fashion and portrait photographs helped define America’s image of style, beauty and culture for the last half-century”… Here we see a beekeeper with his bees, simple and surreal. 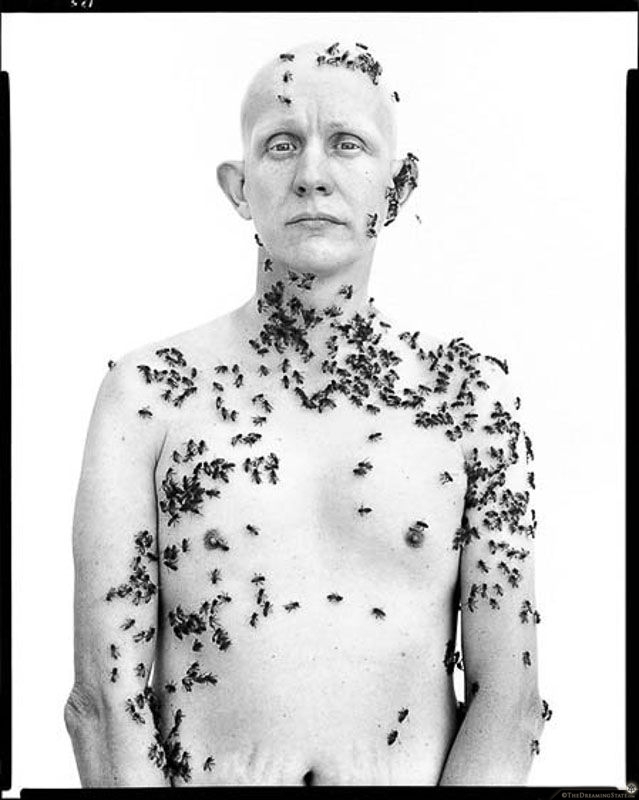 I recall hearing that Avedon would set up a white backdrop so that many photos could be taken outside using the sun. He also has left in the strange border markings that tell the viewer a large format film camera was used. See more at http://www.richardavedon.com/.